Part of my performance practice is working as a mentor, creative consultant or outside eye for individual artists and companies. This could be anything from having a coffee and a chat to watching a run-through of new material, working actively in the studio or talking to emerging artists about self-producing. As an Artistic Associate at The Yard in London, I have provided mentoring for many emerging artists and companies and have additionally been a visitor to many other artists’ processes. 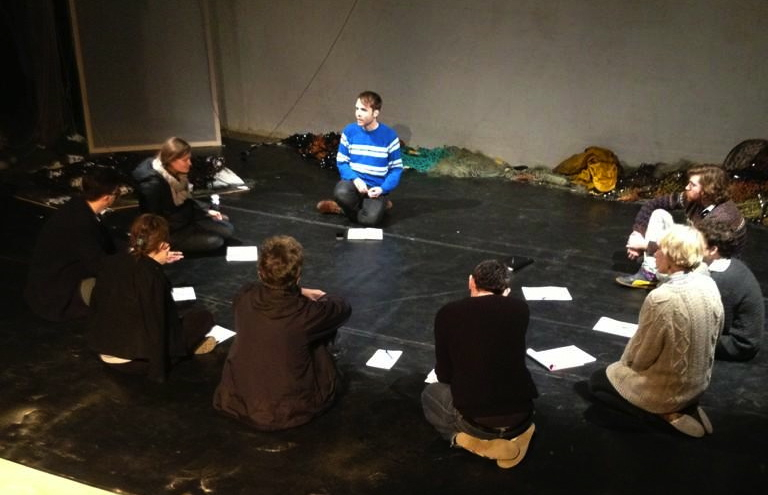 I have also led workshops and devising processes with BAC Homegrown, Orchard Project, Central School of Speech and Drama, Hackney Museum and Contact. I would also be happy to discuss bespoke workshops for your needs and interest to in conjunction with a specific piece of work. Please email me for more details on mentoring and workshops.